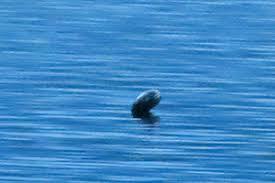 Those local to Kelowna are more than familiar with the Okanagan lake monster known as the Ogopogo. While it’s not the kind of name that strikes fear into people (sounds like a pogo stick toy from the 80s) it’s a myth that’s heavily steeped in local culture and history. Tourist shops sell colorful Ogopogo stuffies, t-shirts, and memorabilia, and most people, local and tourist alike, own a picture of themselves with the Ogopogo statue. However, the actual history and mythology surrounding the Ogopogo is something quite different. Some believe that the origin story of the Ogopogo dates back hundreds of years when the Okanagan First Nations people would seek safe passage across the lake from a water spirit called N’ha-a-itk (also spelled Naitaka). The spirit demanded a sacrifice so anytime anyone wanted to venture onto the lake they’d have to bring a chicken or some other small animal to kill and drop into the lake. At some point within the last hundred years, the water spirit belief transcended into an actual physical being and the Ogopogo was born. Traditionally depicted as a long multi-humped creature, colored dark grey or green, with the head of a snake or alligator, the lake creature became more prominent as an actual lake legend in the early 1900s with the name Ogopogo becoming attached sometime after 1924 . . . According to zoologist and cryptozoologist Karl Shuker, the name “ogopogo” originates from a 1924 English music hall song called “The Ogo-Pogo: The Funny Fox-Trot”, by Cumberland Clark and Mark Strong. Much like the Loch Ness Monster in Scotland, there have been multiple sightings of the Ogopogo over the years with all sorts of grainy photos and videos. Most images and footage has been written off as either logs, wave formations caused by currents, boats, or animals, or actual animals such as beavers or large fish. There have been numerous hunts to prove the existence of the Ogopogo, one of which included a one million dollar reward for irrefutable proof. The reward has yet to be claimed. The Okanagan lake is 135 km long and between 4 and 5 km wide, with an average depth of 249 feet. Though at its deepest the lake plummets a shocking 840 feet. An expedition was launched in 1991 to find the monster using high-tech devices, including a remotely operated vehicle, miniature submarine, sonar equipment, and camera gear. The pilot took the vehicle to the very bottom of the deepest part of the lake, but no Ogopogos were sighted, nor did the submarine discover any of the creatures’ carcasses or bones. To date there has been no conclusive evidence of the existence of the Ogopogo. But that hasn’t stopped people from looking. If you happen to spot one off the shore of McKinley Beach, make sure you get a good picture!